News by Britta S, Matt C.
Developer Haemimont Games and publisher Wired Productions have announced that they are releasing action RPG Victor Vran on PlayStation 4 and Xbox One. The game will be available for both systems physically and digitally in early 2017. Victor Vran was developed by the Bulgarian independent development studio Haemimont Games, creators of recent Tropico titles. The final PC version was released in July 2015 on Steam, following Early Access. Victor Vran is an isometric action RPG, similar in style to Diablo, set in the vast city of Zagaravia; the setting is inspired by a mix of Gothic fantasy and fairy tale, with both magic and science claiming their place in the world. Players control their own version of the eponymous character against waves of demons and challenge bosses. The game features local co-op for two players and online co-op for up to four. We can never get enough of top-down isometric RPGs. 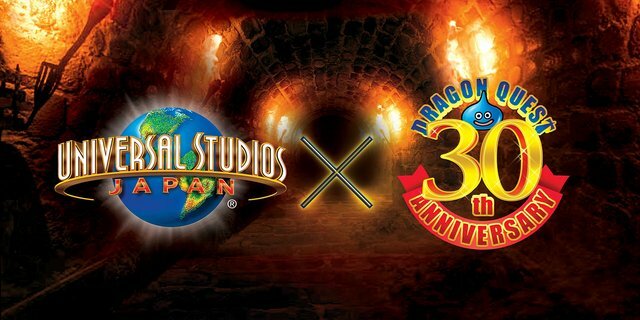 As part of ongoing 30th anniversary celebrations for Dragon Quest (which included an incredible art exhibition in Tokyo), Universal Studios Japan will be opening a limited-time attraction based on Square Enix’s iconic franchise. “Dragon Quest: The Real” will open on 31 March 2017, allowing fans to team up with other adventurers and go on a real-life dungeon crawl. Specifics of how this will all work haven’t been revealed, but visitors will be able to choose from a selection of weapons and fight “real” monsters. The first Dragon Quest game came out in Japan on 27 May, 1986 (though it wasn’t seen in the West until 1989, under the title Dragon Warrior). It was one of the earliest examples of the now-popular JRPG genre, It spawned a massive multimedia franchise, including dozens of games, novels, manga and anime series, and toys. Square Enix is currently working on Dragon Quest XI, which is due out next year (in Japan) for PS4 and 3DS. Torment: Tides of Numenera is set in the iconic Dungeons & Dragons tabletop RPG setting. Even more excitingly is that it is a spiritual successor to Planescape: Torment (1999) by Black Isle Studios, which is considered by SO MANY to be one of the greatest computer RPGs ever created. The new game will also be story-driven and explore similar deep and personal themes of life, mortality and sacrifice, challenging players to take intellectual stances and make moral decisions. While the setting may be grim and dark, the developers state that "Torment will be irreverent and entertaining, though not satirical, turning classic RPG tropes on their heads when possible." InXile Entertainment acquired the rights to Torment and successfully crowd-funded the game through Kickstarter in March 2013. This is a developer with a serious pedigree in the genre, and you know what? We reckon it might just succeed in doing justice to the almighty Planescape. Torment will release on 28 February 2017 for PC, PlayStation 4 and Xbox One. Syberia 3: We have an update and new trailer to share! Syberia 3 has been stuck in a long development cycle, but finally we appear to have a more reliable release window: Q1 of 2017. It will be available on PC, PS4 and Xbox One. The original Syberia (2002) was acclaimed as one of the best point-and-click adventure games, introducing steampunk and art nouveau elements. Creator Benoit Sokal and Microids vice president Elliot Grassiano have cited the usual reason for the final delay: the wish to polish the game to meet the fans' expectations. "We decided to add even more cinematics to this new fiction, more optional narrative sequences as well as new languages for the voice-over, which represents considerable work for team."